There was a time when people and goods were moved through the crowded city on the ground, restricted to the busy street surfaces by necessity and gravity. So, inspired visionaries considered new ways to get about town and dreamt of innovative flying machines that could safely transport passengers and ship cargo within the urban jungle by rising above the congestion below. No, we're not talking about the Wright Brothers in 1903. This is the new era in air transportation that NASA and a community of government, industry and academic partners are working together on, right now. 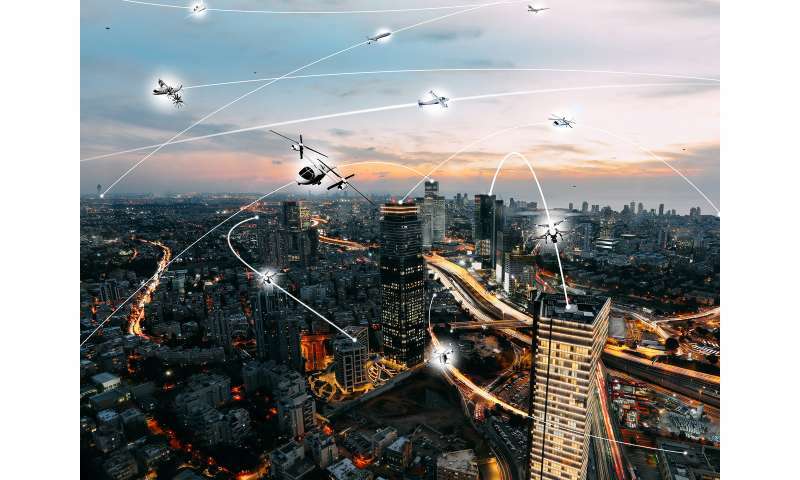 The goal, known as Urban Air Mobility (UAM), is a safe and efficient air transportation system where everything from small package delivery drones to passenger-carrying air taxis operate over populated areas, from small towns to the largest cities. "The convergence of technologies, and new business models enabled by the digital revolution, is making it possible to explore this new way for people and cargo to move within our cities," said Jaiwon Shin, NASA's associate administrator for aeronautics research. But there's still much research to be done, tests performed, demonstrations conducted, and operating rules and regulations to be written and adopted before you should expect same-day package delivery by air on the roof of your office building downtown. To that end, NASA is committed to leading the UAM community to identify the key challenges still ahead, and is exploring the research, development and testing requirements needed to address those challenges. NASA's part in this process, Shin said, reminds him of the quote often attributed to President John F. Kennedy, who was fond of saying "A rising tide lifts all boats." NASA-developed technology and systems related to UAM will help lift a new aerial marketplace to success. It's a role within aviation NASA has successfully played throughout its history, beginning more than a century ago with its predecessor organization, the National Advisory Committee for Aeronautics. The result is that, today, every U.S. airplane and air traffic control facility has on board, or relies in some way on, aeronautics technology that originated with NASA. The story is expected to be no different for UAM, which NASA began exploring as early as 2003 when a NASA researcher presented a conference paper entitled "Personal Air Vehicles: A Rural/Regional and Intra-Urban On-Demand Transportation System." Building its expertise in this area, NASA continued to study the topic and in 2016 published a study about On-Demand Mobility, the results of which helped inspire and define a path for turning the UAM vision into reality. "Now, our goals are to help develop and enable as much as possible what we like to think of as an entire ecosystem when it comes to Urban Air Mobility," said Davis Hackenberg, a NASA engineer who is helping to coordinate the agency's UAM activities. "We're looking at the best ways to do this and learning a lot as we go," he said. NASA's aeronautical innovators at four of its research field centers in California, Ohio and Virginia are supporting UAM through a number of projects and have been working to identify the best ways NASA can help. At the top of the list: safety. NASA and its partners are working with the Federal Aviation Administration to come up with a way to safely manage all of these low-flying aircraft so they do not interfere with or burden the current air traffic control system that manages the national airspace. 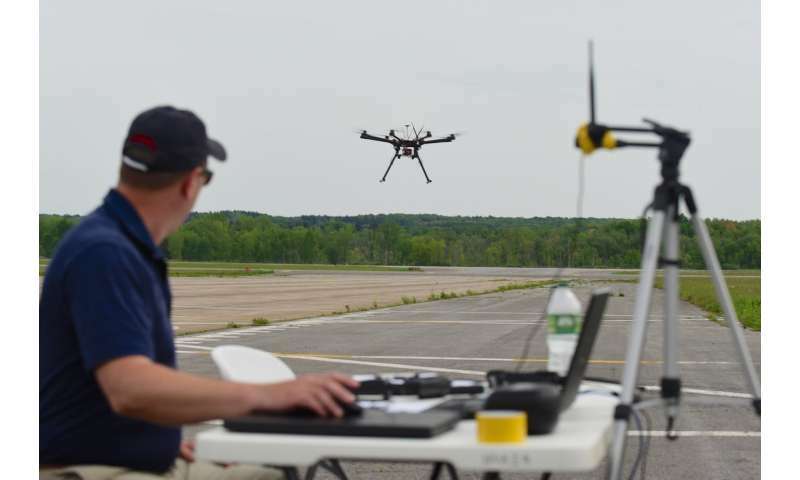 In fact, NASA's Unmanned Aircraft Systems Traffic Management project, which has already conducted several successful demonstrations managing small drones in flight under various conditions, could be very helpful as a foundational tool for UAM researchers to take advantage of in developing their air traffic management system. But safety is a key driver for more than just air traffic management. NASA is looking to ensure the entire UAM system – and every iteration along the way – is operated with a high degree of safety, and that all air vehicles do not generate unacceptable levels of noise. Another area where NASA's strengths already are assisting UAM air vehicle development is with its electric propulsion research. Hybrid-electric or all-electric-powered vertical takeoff and landing air vehicles are likely to dominate UAM operations over cities thanks to their significantly reduced, or even zero emissions, as well as relatively quiet operation. Earlier this month, NASA made available to the entire UAM community extensive technical data gathered from its still-ongoing X-57 Maxwell project, which is an all-electric propulsion experimental research airplane. The shared data comes from more than 25 publicly available documents written by the X-57 team, who already are working with regulators on how best to approach certifying their new ideas for flight – all of which can be helpful to the UAM community. "The key to success in making UAM a reality is the opportunity for NASA to work with a large, diverse set of partners," Hackenberg said. Building the UAM ecosystem requires expertise in many areas, including those where NASA traditionally has not had strong expertise. So, essentially, the more partners NASA has in this effort the merrier. "There are several areas that have not been 'traditional NASA,' but in order to understand the entire landscape and develop this entire UAM ecosystem, we need to consider everything and work with those who can help us," Hackenberg said. 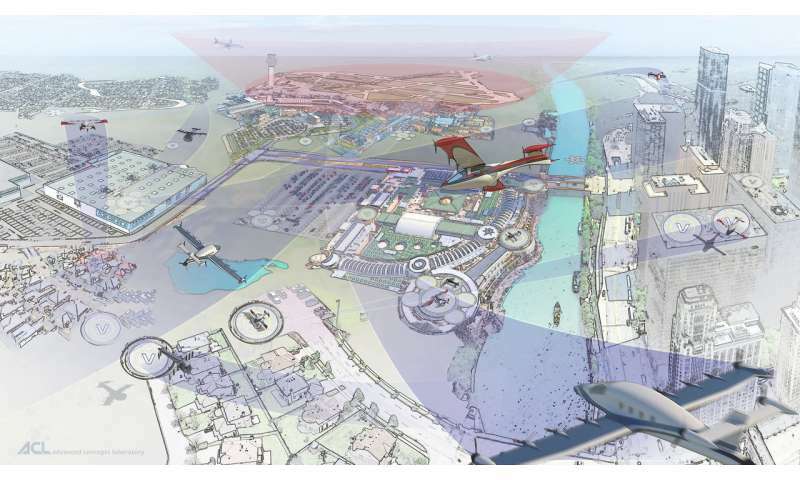 For example, part of the UAM model could include "vertiports" – dedicated platforms where an air vehicle can take off or land as close to its customer's final destination as possible. Such platforms would come with certain infrastructure requirements – power, secure access, cleared landscaping – that are likely to involve real estate developers, property managers, utility companies, and local government officials and civil engineers. "These are entities and people that NASA in the past hasn't really partnered with on projects of this scale," Hackenberg said. "They will be able to help us with our challenges, while at the same time we can provide our expertise so they can better understand what the UAM community's needs are." And while NASA intends to remain a leader in the areas where it can best help, Hackenberg said the agency is keenly aware of the importance of listening to the UAM community to be sure everyone is on the same page and moving in the same direction. "Traveling by personal air vehicle will become commonplace in the future, and NASA wants to help the UAM community to make it happen," he said.